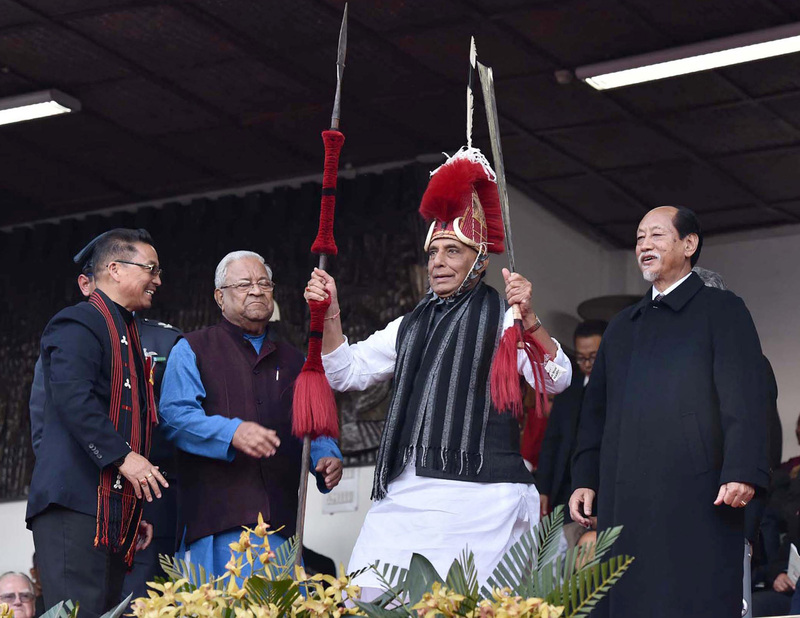 Union home minister and senior Bharatiya Janata Party (BJP) leader Rajnath Singh on Tuesday said demolition of statues is against Indian culture, reiterating his appeal to the states to take action against those behind acts of vandalism. Udham Singh, who was an eyewitness to the Jallianwala Bagh massacre and avenged it by assassinating Michael O’ Dwyer, the then Lieutenant Governor of the Punjab who ordered to shoot the Indians gathered there in 1919, in March 1940 at London. Paying tributes to the martyr, Rajnath said the statue reminds one that a brutal act should be avenged with a brutal method. “The Jallianwala Bagh episode was a turning point in the Indian freedom struggle. Had it not taken place, Indians would not have been that angry against the British. This massacre made revolutionaries like Bhagat Singh, Rajguru, Sukhdev and Ashfaqulla Khan,” he said. He announced that the 100th anniversary of the massacre will be observed across the country in 2019. “I observed that the condition of Jallianwala Bagh garden has improved from beautification point of view. The central government will see what can be done for beautifying the garden,” he said. Representatives of all major political parties shared stage during the ceremony. Punjab cabinet minister Sadhu Singh Dharamsot and Guru Harsahai MLA Rana Gurmeet Singh Sodhi were present on behalf of the state government. Congress MP from Amritsar Gurjit Singh Aujla was also present. Shiromani Akali Dal (SAD) MP Prem Singh Chandumajra, Punjab BJP president Vijay Sampla, BJP national secretary Tarun Chugh, Rajya Sabha MP Shwait Malik and former Punjab minister Anil Joshi also attended the ceremony. The speakers pointed out that the statue should have been installed much earlier and lauded Rajnath for making this a reality. Installation of the statue was a long-pending demand of the Kamboj community to which Udham Singh belonged.